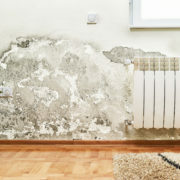 What all business and property owners need to understand is moisture could be present behind walls, ceilings and floors and you may not even know it. Most of the time, you won’t know there’s a problem until you can actually see the moisture. With the help of infrared thermography, unwanted moisture can be detected before it becomes a larger and costlier issue. Not only will this save money, but it will also keep everyone safe from mold risks. Infrared detection technology can create images using infrared lighting based on an object’s thermal condition. Some infrared cameras will actually tell the temperature of any given object and can provide infrared images to determine temperature differences. The key to infrared problem prevention is locating areas of temperature differences. These temperature differences could be the sign of existing moisture. Most of the time, no one can see this moisture or feel the temperature differences with the naked eye or with normal senses, but infrared cameras can detect it and bring the issue to light. When Should Infrared Technology Be Used? Regular infrared thermography testing is highly recommended because you never know when moisture could be present. Sometimes it is the tiniest of leaks or cracks that cause the largest issues, and you wouldn’t know it without using infrared technology. When an expert provides you with the testing results, they will also recommend a course of action to take. Most of the time the repairs won’t take long and won’t be costly, but the longer you wait, the more potential damage could occur. You could walk around your property looking and feeling for moisture and temperature differences or you could hire an infrared thermography professional. Testing will prove more effective since most moisture isn’t detectable with the naked eye. Plus, it will save a great deal of time since infrared technology can be used to survey large areas quickly. Once the testing is done, you will have clear images of where potential problems are rather than having to guess. The advantages of using infrared thermography testing for unwanted moisture speak for themselves. To learn more about the process or to schedule a survey, contact us. http://irtest.com/wp-content/uploads/2016/11/blog-21116200ftl-2.jpg 375 500 InfraRedConsulting http://irtest.com/wp-content/uploads/2014/11/infrared-testing-service-logo.png InfraRedConsulting2016-11-17 08:00:012016-11-03 21:52:34How Can Infrared Thermography Help Find Unwanted Moisture? If you only examine the surface of your roof to determine if there are any leaks, you may be overlooking some important factors. Sometimes a roof leak isn’t evident until you go deeper and get an infrared roof moisture survey completed. Many times these surveys can detect a leak before they even occur, saving your business a lot of time, money and unnecessary headaches. Part two of this two-part series discusses the infrared inspection process. The average person will struggle when trying to learn the science behind the infrared thermography process. Instead, business owners just need to look at it as a more in-depth way of seeing what’s going on with their commercial roof. Infrared cameras and equipment measure temperatures of the roof to determine the presence of moisture. Discrepancies with the temperature of one area compared to adjacent areas could determine the presence of moisture and a possible leak. The infrared scanning process usually occurs in the evening hours when the roof has been exposed to sunlight for an extended amount of time. Sunlight causes the roof to heat up, making the temperature rise in areas with trapped moisture. Without the use of infrared cameras, it’s impossible to see or feel the temperature differences in most cases. 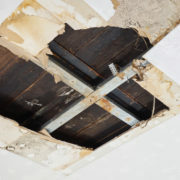 You can certainly use infrared consulting services to conduct a roof survey when you’ve discovered a leak on your own. However, you would be better off having an infrared expert come out before it gets to that point. Doing so will help you save some money and prevent major damage. The average business owner may think they can’t detect a roof leak until it rains. However, with the technology of infrared thermography, roof moisture can be detected at any time. There’s never a bad time to get an infrared roof inspection. Having an infrared roof moisture survey completed frequently will help prevent major damage from roof leaks. The infrared inspection process can take a little bit of time, but it rarely interrupts your day-to-day business operations. 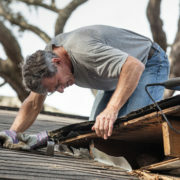 Once you have the results of the inspection in your hands, you can determine whether the roof needs to be repaired immediately or not. Preventative maintenance goes a long way in protecting the integrity of your roof, but you may not know what needs attention unless you have an infrared test conducted. It’s difficult to predict when a roof will begin leaking, so that’s why infrared technology should be used on a regular basis. Even the experts at Infrared Consulting Services have a difficult time identifying problem areas with the naked eye. That’s why the importance of infrared can’t be understated. If you need to schedule a roof inspection, or would like more information about the inspection process, be sure to contact us today. Having a motor maintenance program in place is one of the most overlooked aspects in companies today. By doing a circuit analysis and thermography inspection, you can predict when to perform maintenance rather than waiting until it’s too late. Many people underestimate the value of infrared testing. However, the cost savings in the long run are significant enough to give infrared testing a serious look. Here are some ways infrared services can help improve your motor systems. Infrared problem prevention methods will provide you with results you wouldn’t otherwise see. It’s difficult for anyone to see or feel when the temperature of any part of a motor is warmer or cooler than the other. With infrared testing, you can easily identify hot spots, which could cause problems in the short-term or long-term. Performing a test to identify potential repairs before a problem occurs is a big cost saver. Any infrared consulting services will look at your motor from the standpoint it should be running perfectly. It’s much easier to diagnose a problem if you are looking at the motor in general, rather than just a specific component or two. When you have a professional do routine infrared testing on your motors, they will be able to compare how the motor looked the previous time versus during the current test. As long as routine testing is completed, you’ll have a better chance of having a more reliable and efficient motor. When you do a thermography inspection, you are essentially conducting preventive maintenance. Whether or not you think there is a current issue with a motor, it’s still a good idea to get infrared testing done regularly. Since it is impossible to detect some problems with the naked eye, IR testing can help you see a potential problem before it escalates and becomes costly. Infrared testing is an essential part of any predictive maintenance program for motors. 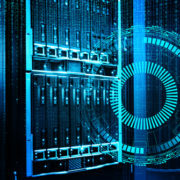 When it’s completed correctly and routinely, companies will experience much lower maintenance costs, as well as higher productivity, more reliability and increased uptime. Without a solid predictive maintenance program, you’re leaving the health of your motor to chance. The money you spend for routine motor maintenance upfront will pay for itself in the long run. Many companies are beginning to see the benefits of having an infrared problem prevention program in place. Our consultants at Infrared Consulting Services can identify problems at any workplace, even if there doesn’t appear to be an issue at all. If you need to schedule an infrared test for your motors, contact us today to set up an appointment or to get more information about the procedure. Companies today are beginning to see the importance of conducting routine infrared testing. 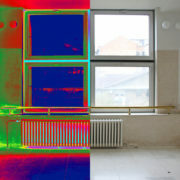 In fact, IR thermography testing is required in some places. Infrared technology is most commonly used in detecting roof moisture, electrical inspections, building envelopes, high voltages and other objects and structures. However, there are other uses people may not be aware of. Proper awareness of the benefits of infrared technology outside of the basic uses will help prevent potential costly issues. Here is a list of four uses for infrared technology you may be able to benefit from. Fluid-filled transformers must have the proper liquid level to perform properly. 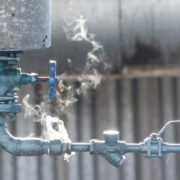 Over time, the gauges can become difficult or impossible to read, leaving people to guess at what the liquid level is. Thermal imaging services can help detect the fluid level in transformers and indicate when there’s a radiator cooling issue. If you have a warm transformer tank with a cool radiator, you know there’s a risk of the transformer overheating. IR thermography is typically used for terminations and splices as a safety precaution. In many cases, before professionals go underground to work on splices, infrared testing must be performed to ensure safety. Infrared testing can also identify problems relating to conductor integrity. 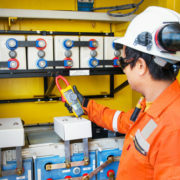 Identifying possible thermal failures of important switchgear equipment is crucial for worker safety. In some cases, permanent thermal sensors have to be installed to identify problems immediately. Outdoor switchgear assemblies have strip heaters to regulate the temperature during different times of the day or year. Thermal imaging services come into play when there is no detection of heat, meaning there’s a problem that needs to be addressed before a larger issue occurs. Most of the time, infrared consulting services will take a quick look at the entire job site, in addition to the specific equipment they’re testing. The reason behind this is to detect heat from objects that shouldn’t be carrying current. Inductive heating can be a hazard to workers and equipment and it would go unnoticed without infrared testing. Another item generally not carrying current is a ground connection. 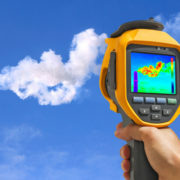 If infrared testing indicates a ground connection has increased in temperature, it signifies a potential problem. Infrared technology has many more uses than the common ones associated with it. At Infrared Consulting Services, we know the ins-and-outs of infrared technology and can help in any industry. For other little-known uses for infrared technology or to learn how we can help provide your company with routine IR testing, contact us at any time!